The island of Idjwi is not a place you used to hear about often, but with the digital awakening of Africa and an influx of interest from the development community, we are starting to understand its equally tragic as wonderful history. 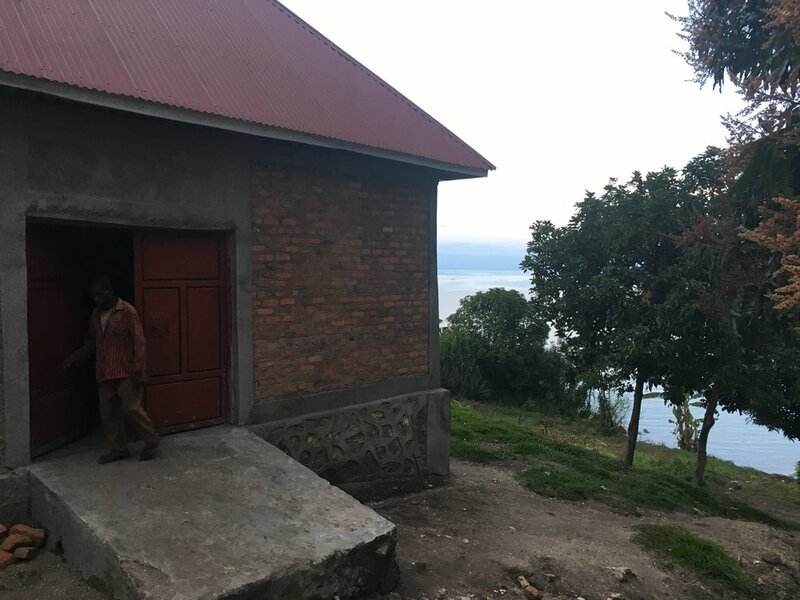 A refuge for rebels, a smuggler's hotspot, a volcanic danger zone or the Kivu region's newest specialty coffee discovery - all describe this remote lake island accurately. In March 2017, Dutch advisory organisation Agriterra put us in touch with CPNCK, one of the island's most progressive farmer cooperatives, to train the farmers in understanding their own coffee quality and the market which they could be selling to. After great impressions and some extraordinary harvest samples that blew away cuppers at the 2017 World of Coffee in Budapest, we now have our first shipment in stock from one of CPNCK's micro mills: Ngula. Expect a red fruit juicy, deep sweet coffee with a smooth, toffee-like body. CPNCK distinguishes itself by taking control of the export process entirely by having acquired the means to mill their own coffee in 2017. This makes them more attractive to buyers as contracts can be settled immediately with the coop and without surprises. Arabica JBM (Typica), Bourbon and (allegedly) Maragogype. Specialty coffee for CPNCK is a means to defer young adults from becoming rebels and strengthens the island's position against smugglers and bandits. 2017: installation of the coop's own dry mill and direct export capacity, first direct export to Europe. Separated coffees from all micro-mills to create microlots. Farmer members cupped their own coffee for the first time. 2018: 50% more coffee imported, equalling all of the harvest from the Ngula Micromill. First natural experiments imported. fully washed at micro-mills: wet fermented for 12 hours, washed with mountain water, shade dried and pre-sorted, then sun dried on raised beds. the price you pay for this coffee p/kg. This Side Up pays $7 to CPNCK. 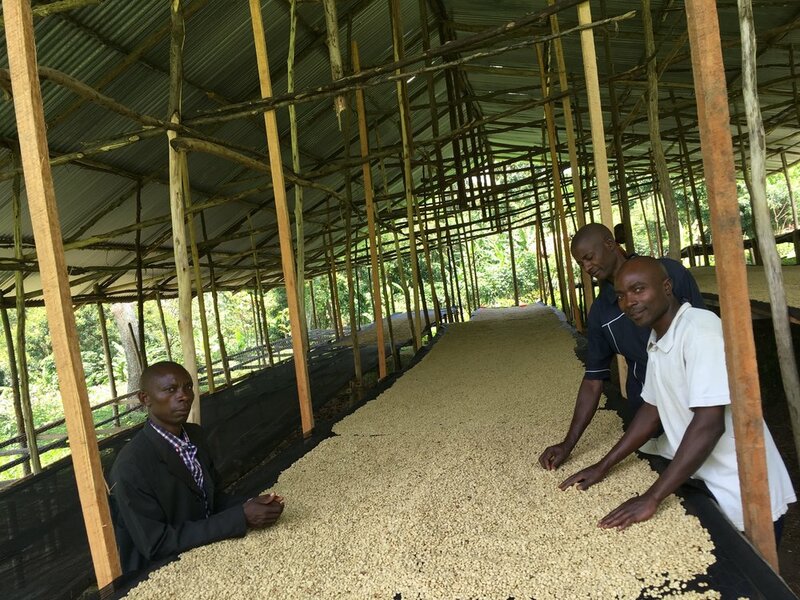 We agreed on this price directly with the farmers, disregarding the volatile US Coffee C price. the price CPNCK pays farmers for their cherries as p/kg price of green (milled) coffee. This price is often unknown to buyers. The extra € 1,75 is a premium that CPNCK will pay out partially to its members to discourage smuggling, the rest is to be invested in upgrading of the micro-mills. CPNCKs wet and dry processing costs, includes a quality premium for creating our Ngula microlot. total overland logistics costs from the mill on Idjwi to Bukavu, then to Mombasa, Kenya and shipping costs to Europe. This Side Up compensation for spending time and resources importing this coffee. Our work includes building relationships with shipping and warehousing partners, managing export, import and shipping bureaucracy, Q grading, sampling and jointly promoting this coffee with CPNCK. We found that the best profile for our washed Congo lot is the TSU Washed 1 profile. Highlights the fresh fruit notes and smoothness reminiscent of geishas. The spice undertones are interesting to say the least! "Floral like a Geisha, bright sweet like a Red Bourbon and spicy like a Timor"
You may use these images freely to promote CPNCK and the Ngula microlot among your customers. CPNCK's manager Gilbert Makelele is fluent in both English and French and is happy to converse with interested buyers and coffee enthusiasts by email. Without exaggeration, we are truly honoured to be working with such an important and inspiring group of people. The story of this island definitely deserves to be told, if only to make a very strong case for the specialty coffee community to support strong farmer cooperatives. First of all, Idjwi's demographic makeup is unlike that of neighbouring mainland Congo and Rwanda. It has long been a safe haven for refugees of the Rwandan genocide as well as a shelter for rebels of the various wars and skirmishes that continue to be fought in the region. 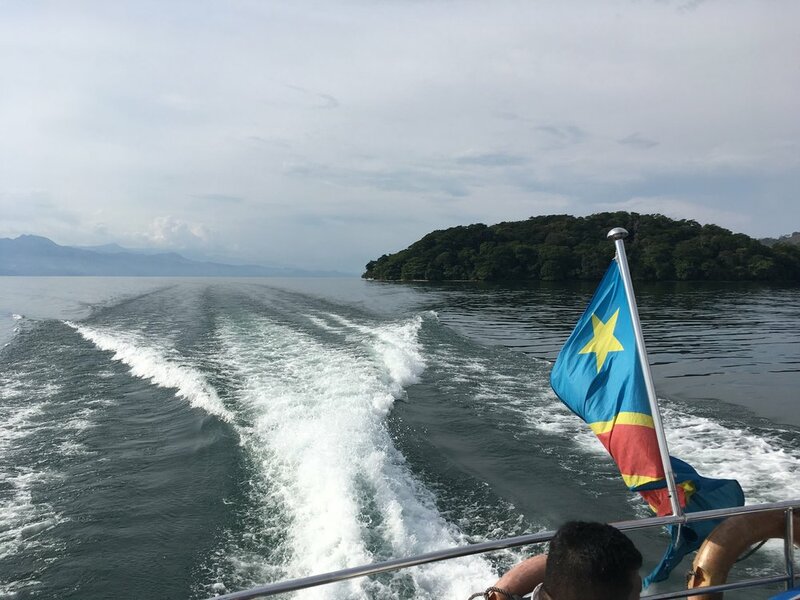 The island's calm and lack of industry or even cars is a stark contrast to the cities of Goma or Bukavu that surround the lake. The Belgians planted coffee here a century ago but due to conflict and falling coffee prices in the 1980's, plantations were neglected. Still, many subsistence farmers rely solely on the sale of coffee for their monetary income. Because of their lack of organisation and because of the island's ideal location between mainland Congo and Rwanda, illicit trade was the only way to bring Idjwi's coffee to market for a long time. This meant that not only did Rwandan traders set prices as low as they wanted, but because of a complete lack of policing or regulation, that bandits would ambush the smuggling farmers, steal their coffee and often even kill them. In fact, the striking number of widows on the island was one of the main reasons for its coffee farming community to make a stand and organise itself to sell coffee independently through a cooperative structure. If the farmers worked together to create volume and share resources, they could demand better prices and stop smuggling. One of the coops that was created is our partner CPNCK; and under the leadership of Gilbert Makelele, much good has happened. His passion and hard work has attracted an increasing number of social ventures like VECO, Good Grounds, Ensemble Pour la Différence and Luminosity, as well as investments from coffee importer Schluter, all of whom have done a lot to increase awareness around the island's misfortunes and in recent years, around its surprisingly high quality coffee in particular. 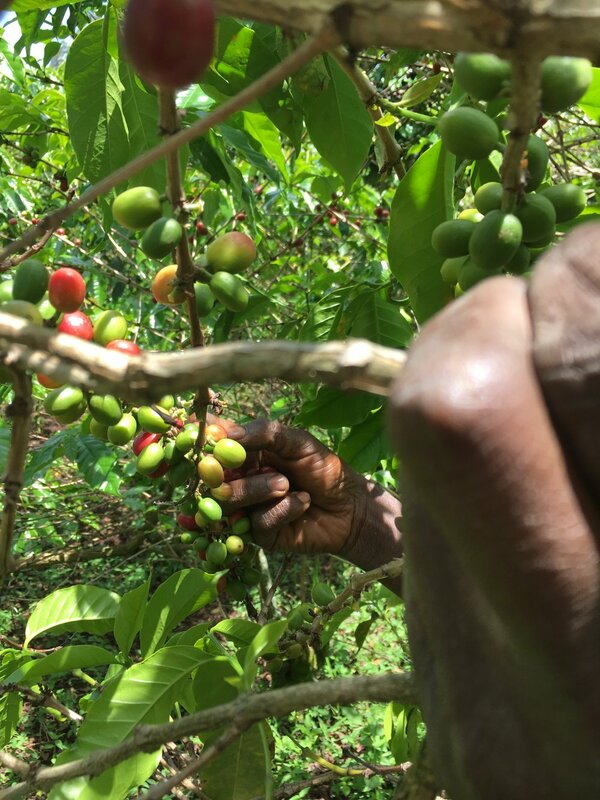 Despite old and inefficient farming methods that were hardly updated until recently, the island's coffee's quality is known to both Rwandan and Congolese mainland coffee traders. Whether this is due to different varieties grown on the island, consistent shading or soil quality is not exactly known - but we do know that CPNCK's upgrading measures have made a huge difference in recent years. 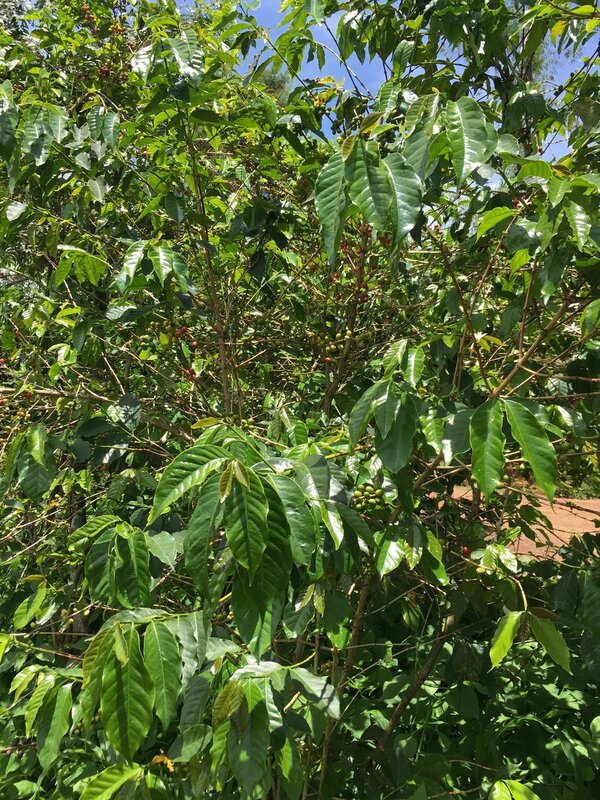 Aided by development projects that stress better processing and better coop management, the coffee has risen to specialty standards and has started to be sold in markets such as the US and South Korea. 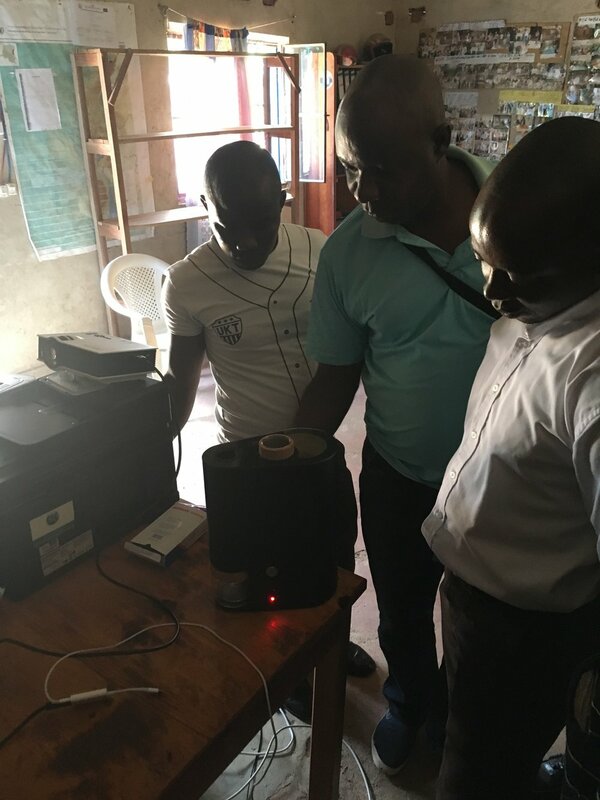 It was no surprise therefore, that when we arrived in March 2017 for the first time with Agriterra, we saw a cooperative with a strong sense of mission, especially because of Gilbert and the young and eager Chance. These guys were definitely ready to take specialty coffee to the next level by connecting more firmly to the final market. 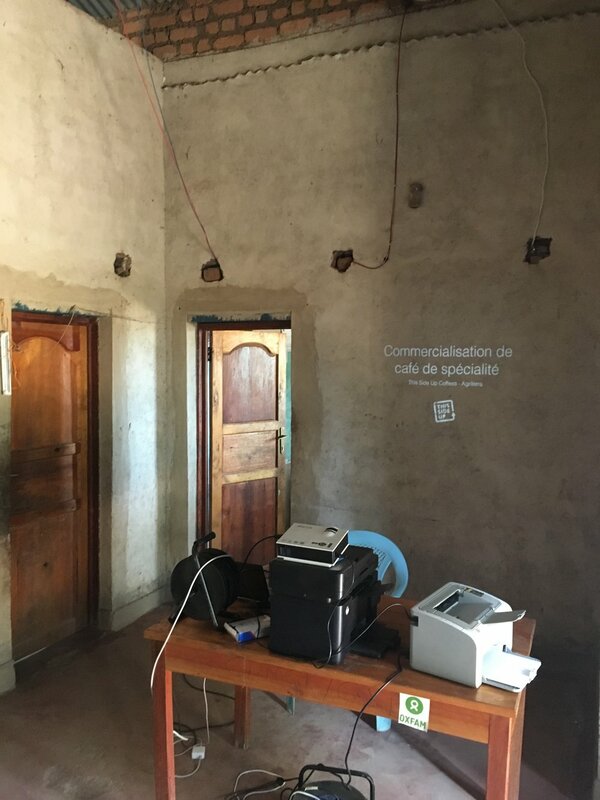 We held a workshop that explained the thinking and the demands of specialty roasters, which made the coop realise they could make direct connections between the island and roasters and increase their independence. We were also able to roast and cup their coffee on the spot for the first time with an Ikawa roaster. We hope that the creation of microlots from the different micromills will allow the coop to market their coffees more effectively to specialty importers and roasters - in fact we found there to be quite some flavour difference between these lots. 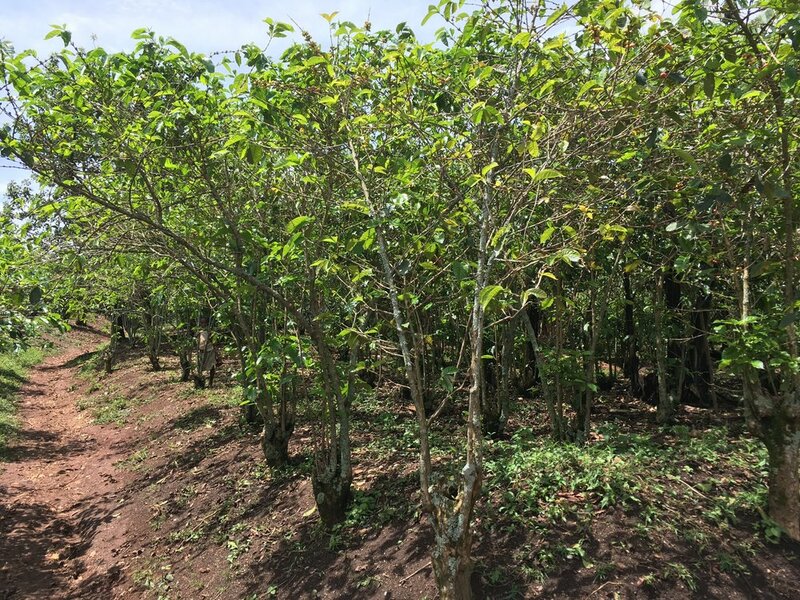 The Ngula lot that we chose was the cherry sweetest in our view, but the others were beautiful too, with notes ranging from stone fruits to citrus. In summary, we are excited to have such passionate partners in Idjwi who are promoting such a noble cause: the possibility of a peaceful and independent livelihood for the island's current and future generation through a structure that is inclusive for the island's farmers and promotes cooperation between everyone. And on top of that, they have coffee that rivals any of the specialty superstars in the region. Here's to Idjwi's future! The organisation that put us in touch with CPNCK deserves extra mention. An initiative rooted in he Dutch farming sector, this advisory organisation's motto is "Farmers against Poverty" and supports self-initiated professionalisation of farmer cooperatives in developing countries. 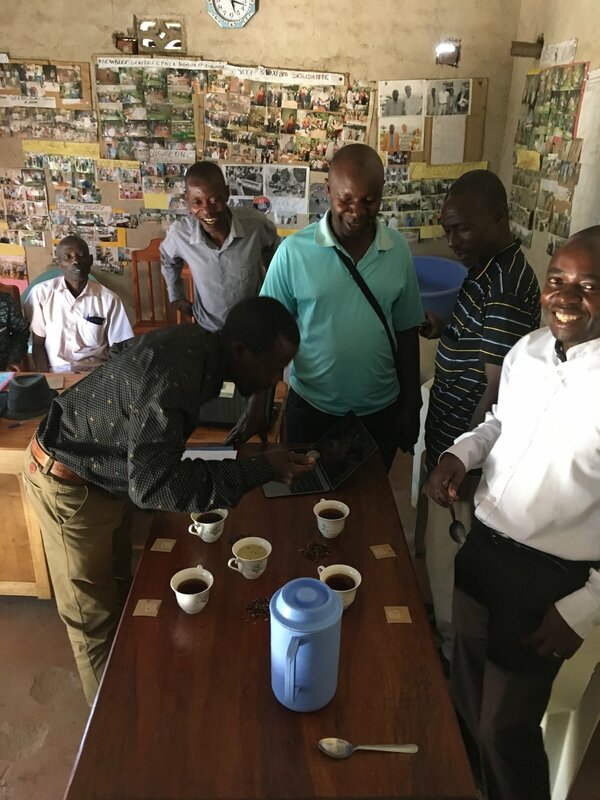 They were the ones to cooperatively study the needs of CPNCK and identify This Side Up's founder Lennart to teach them about direct marketing to roasters . This type of peer-to-peer approach of supporting knowledge exchange between the right professionals and farmer coops is why we think this organisation booked so many positive results in improving rural lives - and why their values are so much aligned with those of This Side Up. If you're curious about this organisation and the results it has booked, ongoing projects or how to get involved, have a look at www.agriterra.org.